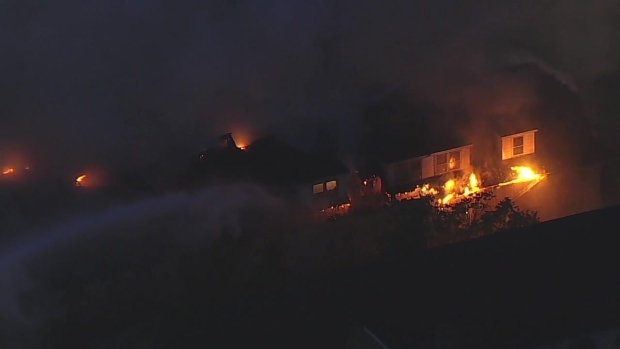 Arson investigators are now probing a massive fire that broke out in New Jersey. Jen Maxfield reports. 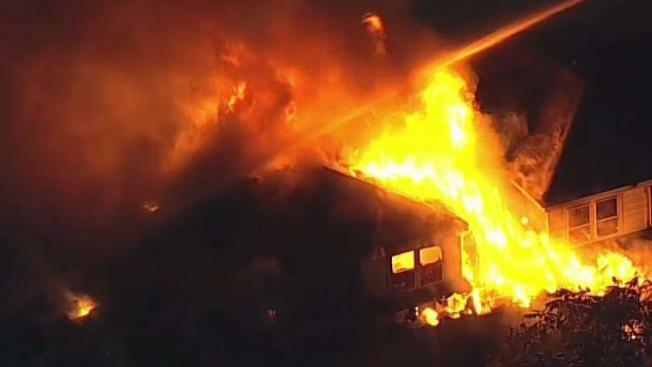 Part of an abandoned nursing home complex in New Jersey has been left in smoldering ruins after a fire tore through the building overnight, spreading so quickly it took firefighters from multiple departments hours to gain control of the blaze. Flames flared up at the former Villa Maria Extended Care Facility on Somerset Street in North Plainfield sometime around 3:30 a.m. Tuesday, with the flames quickly engulfing the building and forcing dozens of fire crews to respond to the location. The fire was under control by around 7 a.m., though crews remained on the scene into the afternoon putting out hot spots. No injuries were immediately reported. 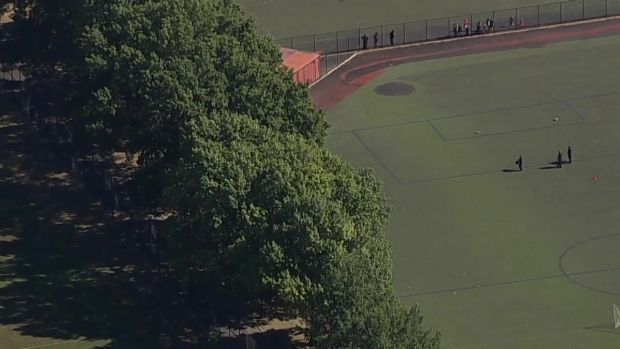 Nearby Stony Brook, Harrison, North Plainfield middle and high schools had to close just after 9:30 a.m. because of smoky conditions, which were exacerbating asthma for some students, officials say. Investigators are looking into the possibility that the fire was intentionally set. The property caretaker, who lives in a separate building on the property, told News 4 he hard a loud car pull out at around 2 a.m., about an hour and a half before the fire started. It's the second fire to hit the historic site since the summer. That July blaze was contained to an 80-foot section that contained an infirmary and was brought under control in less than a half-hour, according to MyCentralJersey.com. "We've had vandals go through it for whatever reasons, possibly it was set," said North Plainfield Fire Chief William Eaton. A cow was on the loose in Brooklyn Tuesday. Chopper 4 was over the absurd scene. Villa Maria was a tuberculosis sanatorium that was open from 1889 to the beginning of World War I, according to MyCentralJersey.com. It was later used as a long-term nursing facility before it closed in 2002.